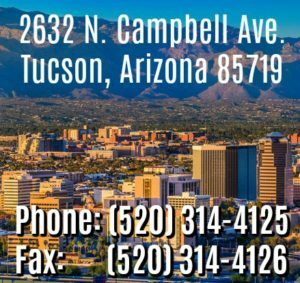 If you have been injured in an accident and believe that the accident was caused by someone else, we offer a free case evaluation with our qualified Tucson accident lawyer. The evaluation will be conducted by a Tucson accident attorney, not a lawyer from Phoenix or from outside the state of Arizona altogether, and not an assistant or paralegal. There is no obligation for this evaluation, so you have nothing to lose. If we agree to take your case, we will do so on a contingency fee basis. This means that you pay nothing unless we win. If you would like a free case evaluation, please call us at 520-314-4125 or contact us online. The most dangerous thing most people in Tucson do on a daily basis is drive. Tucson is so spread out that most people need to drive on a daily basis. With our inadequate cross-town thoroughfares and unique mixture of college-aged and elderly drivers, traffic can get ugly. Unfortunately, this puts us all at risk of getting into an auto accident. Every year, many people are seriously injured or killed in Tucson car accidents. For most of us, driving is a necessary risk that we take for granted. But when an accident happens, it can turn your life upside down in an instant. Whether you are hit by a drunk driver or just a careless one, you may have a claim. We cannot change what happened, but we can make life after an accident less stressful by dealing with insurance companies, assisting you in obtaining medical treatment, and aggressively seeking compensation for your injuries. If you were involved in an automobile accident as a driver, a passenger, or even a pedestrian, you may be entitled to compensation. Motorcycling is very popular in Arizona, largely because of our weather. Some people view motorcyclists as risk takers or dare devils, who are just asking for trouble. Most motorcyclists, however, are careful drivers who take safety very seriously. The fact is that no matter how safely motorcyclists drive, or what protective gear they utilize, motorcycle accidents result in serious injuries more often that car accidents. This is simply because motorcyclists are not as protected as people in other types of vehicles. Many times, motorcycle accident injuries are so severe that they can disable a motorcyclist for the rest of his or her life. Sometimes it takes time to fully realize the extent of these injuries. In these cases, it is critical that the motorcyclist be represented by an attorney who will seek damages that fully compensate them for the effects of any long-term disability. An experienced traffic accident lawyer will make sure that the extent of any injury is established before attempting to settle a case. Commercial trucking is highly regulated, and for good reason. These trucks, known as semi-trailers, tractor trailers, or 18-wheelers, are huge. When one of these trucks is involved in an accident, especially on a busy highway, it can cause much greater and more wide-spread damage than a normal vehicle. While most commercial truckers drive safely, the pursuit of profit can lead to dangerous short cuts. Despite many safety regulations, drivers can push themselves beyond their limits and become drowsy, they can overload their trucks, and they can fall behind on maintenance and important repairs. Any of these violations can have serious consequences to the vehicles around them. If you or a loved one has been injured in an accident with commercial truck, call us for a free case evaluation. Tucson is one of the top bicycling cities in the country. Nonetheless, we have our share of problems. Many of our roads are poorly maintained and, despite generally being bicycle friendly, there are still some members of our community who don’t respect bicyclists’ safety. We also have more than our fair share of inattentive drivers and elderly drivers, all of whom can have difficulty seeing bicyclists. Any bicycle accident can be serious, but when a car or truck is involved the bicyclist is almost always injured. We aggressively pursue these cases to make sure you get the compensation you deserve.